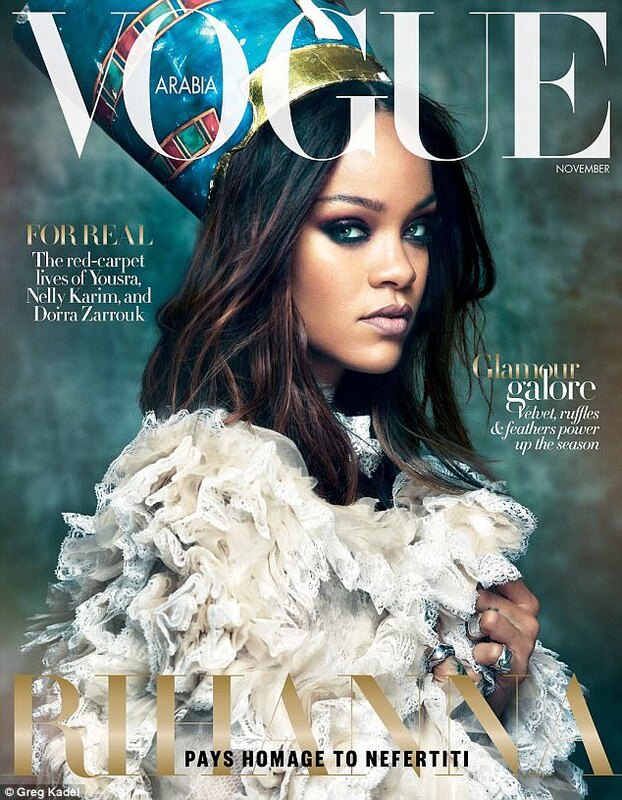 Rihanna wows on the cover of Vogue Arabia as she channels Queen Nefertiti on the cover of the mag. The 29-year-old singer had on Nefertiti’s iconic blue headpiece for the shoot. She also modeled a striking reptile print jacket and in another shot, she had on a semi-sheer embellished dress, which she paired with a sophisticated blue coat. The incredible shoot channeling one of Egypt’s most-celebrated figures was done by Greg Kadel. It is believed that the shoot was inspired by Rihanna’s tattoo of Nefertiti, who ruled Egypt alongside her husband Pharaoh Akhenaten, almost 3,500 years ago. Despite her reign dating back thousands of years, Neferneferuaten Nefertiti remains one of the Middle East’s most beloved icons. She was known for her unmatched beauty, and had a very active role in the country’s political sphere. It is believed she gave mankind an early lesson in women empowerment. Speaking about the exciting shoot, Vogue Arabia editor Manuel Arnaut said: “We are dedicating the issue to strong and dynamic women who are changing the world. “Rihanna, our cover star, is one of them. Not only is she one of the most successful pop icons ever, shaping the entertainment industry with her powerful tunes and unique sense of style, she is also an advocate for diversity.